GATTON, Matt. 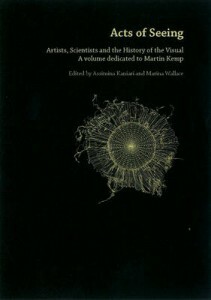 “The Prehistory of the Image: Taxonomy of origin-of-art theories”(article). GATTON, Matt. “The Eleusinian Projector: The hierophant’s optical method of conjuring the goddess.” In The Oxford Handbook of Light in Archaeology (Papadopoulos, C. and Moyes H., eds.) Oxford: Oxford University Press, 2017. GATTON, Matt; ACKERMAN, Michael; ACKERMAN, Jennifer; BROCK, Walter; and BROCK, Dylan. “Conventionalized Distortions in Upper-Palaeolithic Cave Art: Calculations of the keystone effect” in APLIMAT, Journal of Applied Mathematics (2017). GATTON, Matt; and CARREON, Leah. “Projecting Projection: A statistical analysis of cast-light images” in Pleistocene Coalition News, Vol. 4: Issue 4 (John Feliks, ed.) July-August, 2012. GATTON, Matt; and CARREON, Leah. “Probability and the Origin of Art: Simulations of the Paleo-camera Theory” in APLIMAT, Journal of Applied Mathematics, Volume 4 (2011). GATTON, Matt. “The Camera and the Cave: Understanding the style of Paleolithic art” in Pleistocene Coalition News, Vol. 2: Issue 5 (John Feliks, ed.) September-October, 2010. GATTON, Matt. 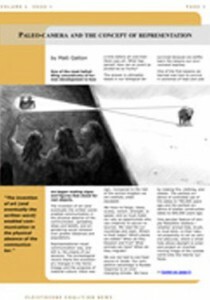 “Paleo-camera, Phase II: Projected images in art and ritual (or why European Upper Paleolithic art looks the way it does)” in Pleistocene Coalition News, Vol. 2: Issue 4 (John Feliks, ed.) July-August, 2010. GATTON, Matt. “Paleo-camera and the Concept of Representation” in Pleistocene Coalition News, Vol. 2: Issue 3 (John Feliks, ed.) May-June, 2010. GATTON, Matt; CARREON, Leah; CAWEIN, Madison; BROCK, Walter; and SCOTT, Valerie. “The Camera Obscura and the Origin of Art: The case for image projection in the Paleolithic” in the Official Proceedings of the XV World Congress of the Union Internationale des Sciences Préhistoriques et Protohistoriques (UISPP) 35, Global State of the Art–SO7 (Giriraj Kumar and Robert Bednarik, eds.) BAR S2108. Oxford: Archaeopress, 2010. GATTON, Matt. Echoes of Light: Archeo-optics and the development of human consciousness (manuscript). GATTON, Matt. “Socrates vs. the Goddess: The Allegory and the Mysteries” (article). GATTON, Matt. “In the Image: The Bereishit creation narrative interpreted from the perspective of prehistoric ritual practices” (article). GATTON, Matt. “Pillar of Fire: The tent Mishkan and Bronze Age ritual formulary” (article). GATTON, Matt. “The Role of Yitro: Ancient Near-Eastern mystic craft in Shemot” (article). GATTON, Matt. “Maya Light: Interpreting ritual and iconography at the Temple of the Descending God, (Tulum)” (article).